Earlier this year President Trump revealed the notorius anti-dumping tariffs on imported solar cells and modules at 30% for the first year (which will gradually decline in five percent increments over a four-year period to 15% by 2022). This was criticised and opposed by many industry players as a move that will seriously affect the momentum of solar growth in the US and also affect the renewable economy globally. According to the Solar Energy Industries Association (SEIA), tariff decision is expected to cause 23,000 job losses this year, with job cuts remaining in the tens of thousands throughout the four-year tariff period. GTM Research issued a report that found the U.S. solar market will see a net reduction in installations of around 11% as a result of the new tariffs. Analysts at Deutsche Bank expect PPAs in certain market segments to trend higher and new utility scale project development activity to come to a temporary pause until the supply chain (inverters etc) adjust to the higher module cost structure. There are now some follow-up repercussions such as law-suits and demands from companies and countries that are following this decision. Some notable ones are mentioned below. Three Canadian solar panel manufacturers have filed a lawsuit against the U.S. government over the 30% tariff it set on solar cell imports last month. Ontario based Silfab Solar, Heliene, and Canadian Solar Solutions, along with U.S.-based distributor Canadian Solar (USA), filed the challenge at the U.S. Court of International Trade in New York. The lawsuit claims that an investigation last year by the International Trade Commission found Canadian products don’t significantly hurt U.S. manufacturers and don’t account for much of the overall imports of solar cells to the country. The companies state that the Commission made no recommendation of tariffs on Canadian solar cells, and that the imposition of them goes against rules in NAFTA. The lawsuit claims that the tariffs, which the U.S. administration says was done to put American companies and jobs first, will inflict immediate, severe, and irreversible injuries to the companies. China has sent the U.S. a demand for talks on compensation for steep U.S. tariffs imposed on imported solar panels and washing machines, according to the World Trade Organization filings. China said it was asserting its right as a major exporter to demand compensation, and said it believed the U.S. measures broke numerous WTO rules. China’s move follows similar steps by Taiwan and South Korea. China, with its ~70% market share in PV module manufacturing, is the country most affected by the new tariff, and to a lesser extent such other exporters as Korea and Malaysia. 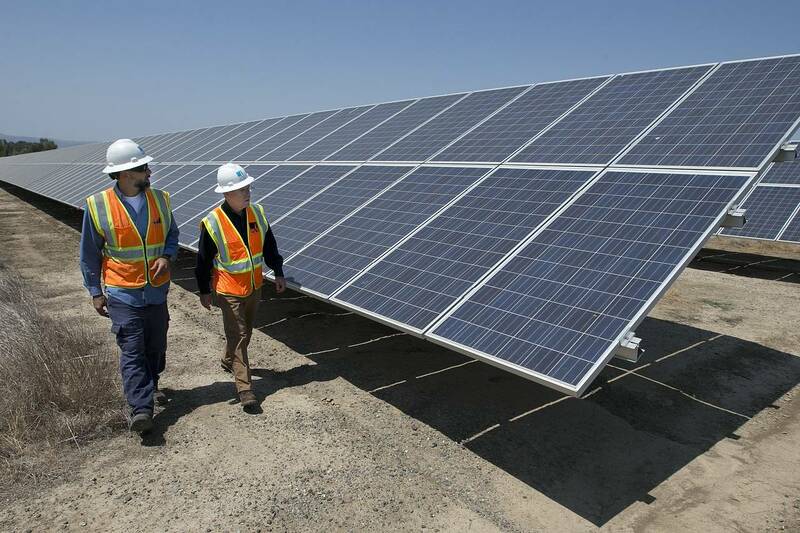 The European Union has sent the United States a demand for talks on compensation for steep U.S. tariffs imposed on imported solar panels. The EU request said Germany was a major exporter and cited WTO rules under which it could demand compensation. In its WTO filing, the EU stated: “Having a substantial interest as an exporter in this case, the European Union requests consultations with the United States. […] The aim of the consultations is, inter alia, to exchange views and seek clarification regarding the proposed measures and reaching an understanding on ways to achieve the objectives set out in Article 8.1 of the Agreement on Safeguards.” The EU wants to hold the consultations as soon as possible, preferably with the participation of representatives of the US' investigating authorities. The EU move follows similar steps by China, Taiwan and South Korea, but unlike them it did not accuse the United States of breaking WTO rules.